Phillips Fiber Art makes innovative tools for the creative quilter. 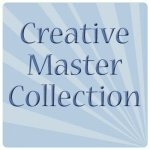 The Creative Master Bundle offers the full gamut of possibilities! Midi Cut A Round for circles 4"-12"
Standard Cut A Round for circles 6"-17"
Large Cut A Round for circles 18"-30"
All tools come with printed instructions. * Each tool includes a pattern enclosed in the packaging. (To see the enclosed pattern, go to the individual product page.) Total cost if bought separately would be $ 428.58. Bought in this bundle you save over $ 53!! The Perfect Phillips Fiber Art Starter Collection!